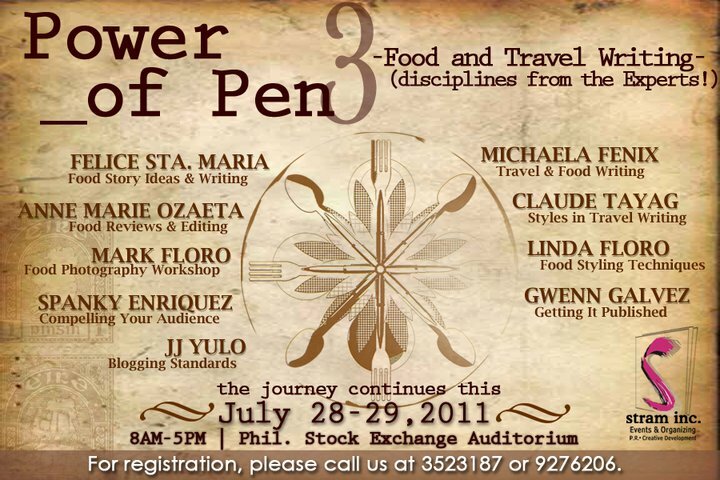 POWER OF PEN, A food & travel writing workshop with the Icons! 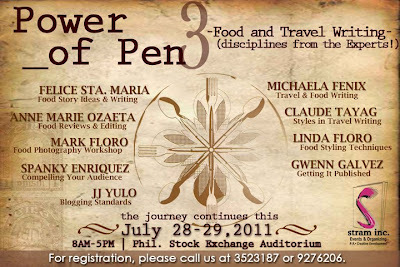 Unleash your talent and join this very interesting event that will help shape your future in Food/ Travel Writing, Food Styling & Photography from July 28-29, 2011. For more information on how to join, please call STRAM, INC at : (632) 9277208 or 352 3187.